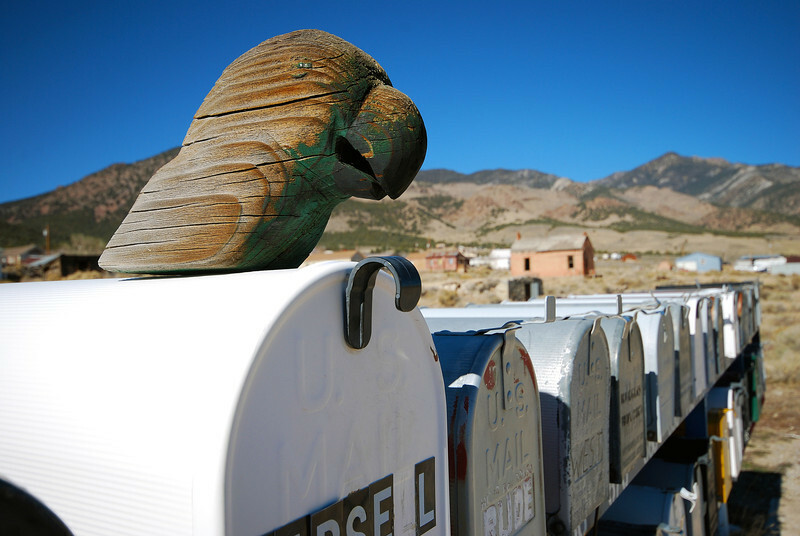 The Pony Express only ran for one year from 1860-1861. But during that time, riders delivered mail from the west coast all the way to Missouri, facing dangers like weather, buffalo stampedes and bandits. 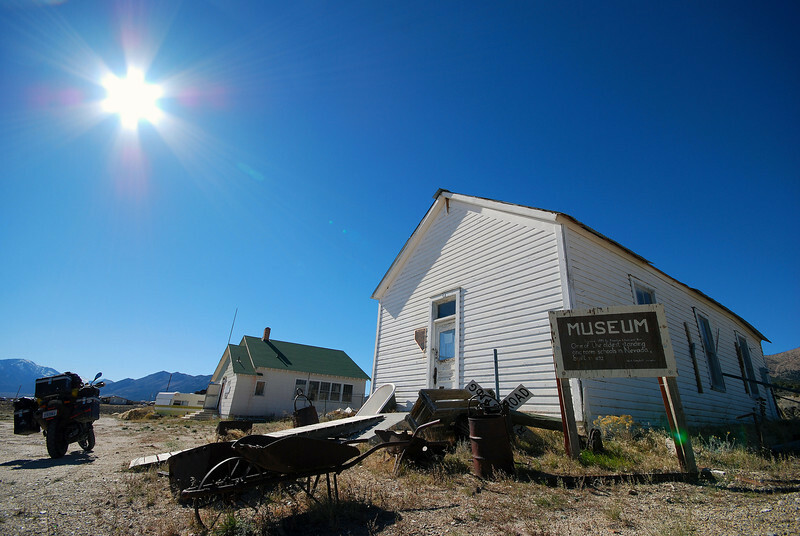 The advent of the railroad put an end to the Pony Express and US 50 now follows the rough route that the riders took across Nevada. Today, most of the cross-Nevada traffic takes Interstate 80, rendering US 50 obsolete, much like the Pony Express. Life Magazine called US 50 the Loneliest Road in America in the 80s, stating: "It's totally empty. There are no points of interest. We don't recommend it. We warn all motorists not to drive there unless they're confident of their survival skills." 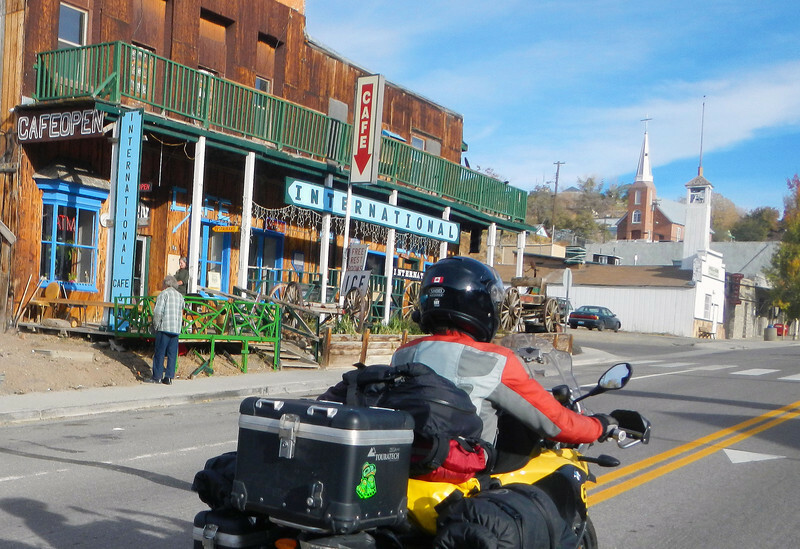 The handful of towns on US 50 turned this negative proclamation into a major marketing campaign, boasting ghost towns, mountain passes, motorsports, camping and wildlife watching along this forgotten highway. 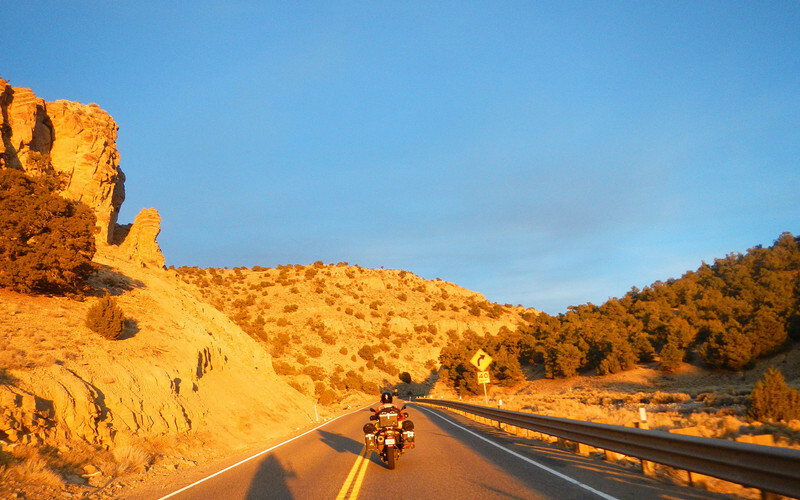 So we're riding the Loneliest Road in America to see if it's all that it's cracked up to be! 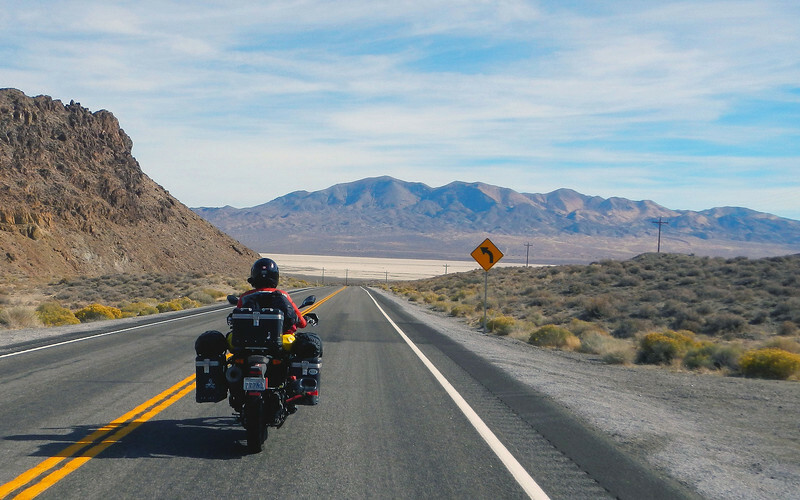 I love riding in the desert, especially when there's nobody else around for miles and miles. Just you and your thoughts swirling around in your helmet. 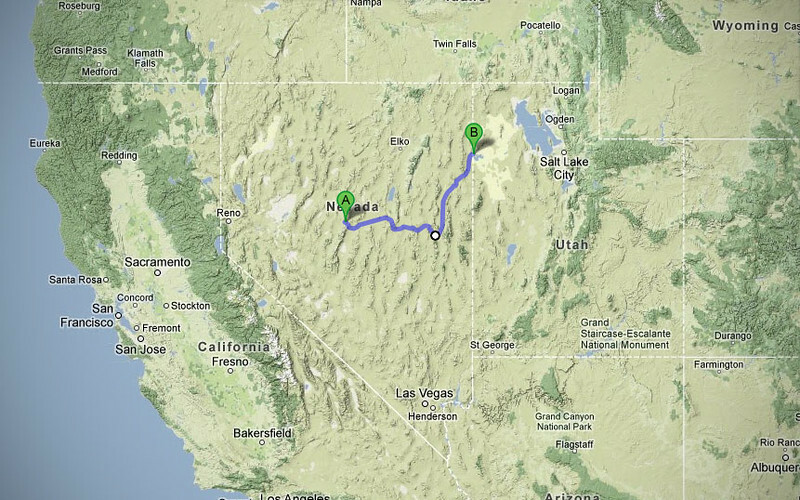 We ride like this for over 400 miles across Nevada to the end of US 50, passing by the towns of Fallon, Austin and Eureka, not seeing a lot of ghost towns until we close in on Ely at the end of US 50. 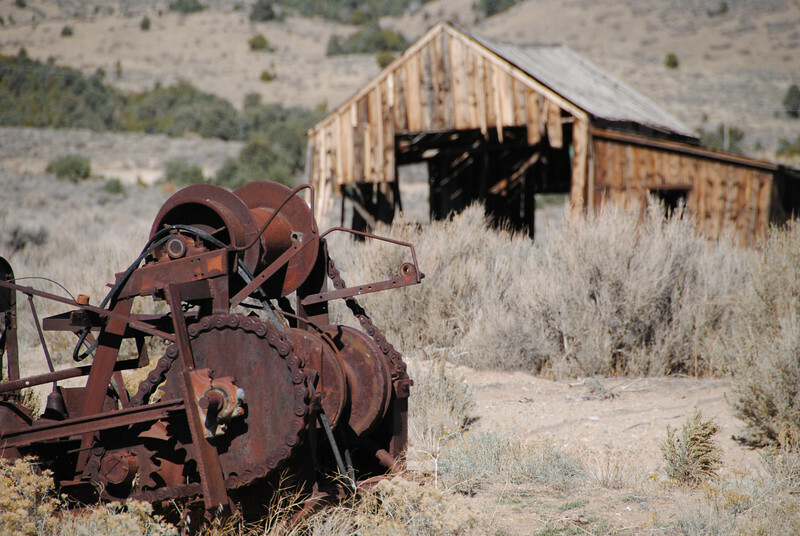 Cherry Creek used to be a bustling mining town of 6,000 people before the turn of the last century. Now, only a few people live here amongst the ruins of abandoned buildings that draw tourists looking to see a piece of history. 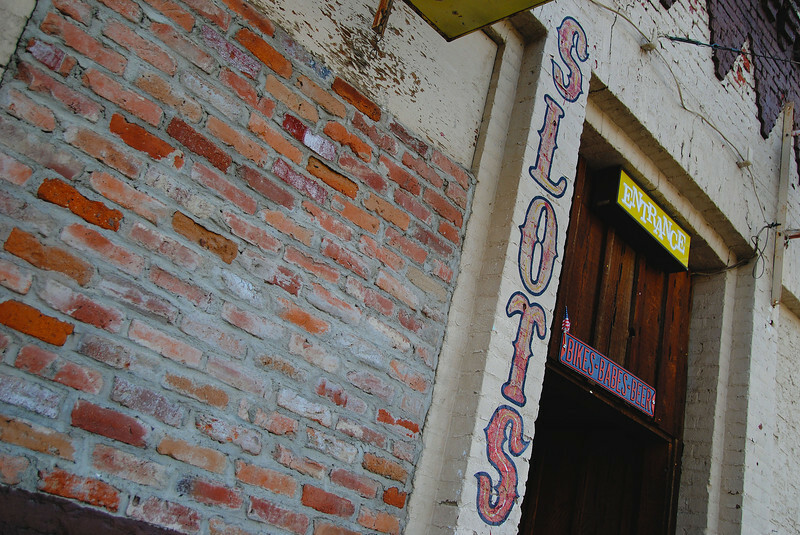 It was very neat to walk around the old buildings. 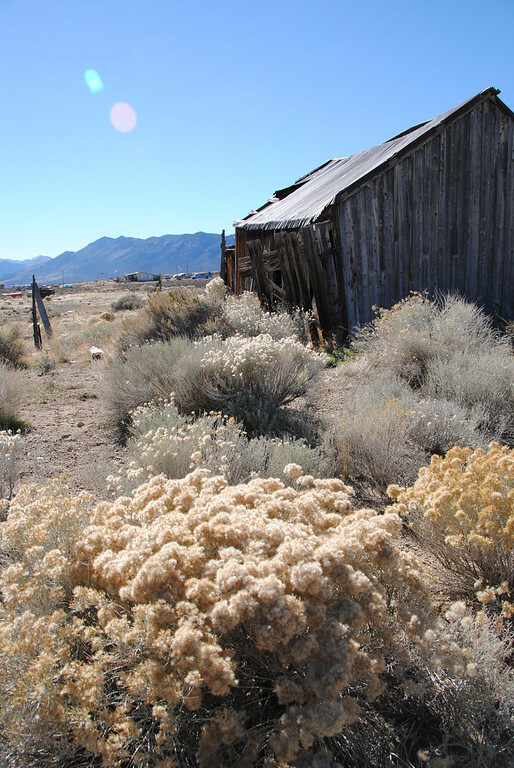 Not as spooky as the name "Ghost Town" seems to imply! 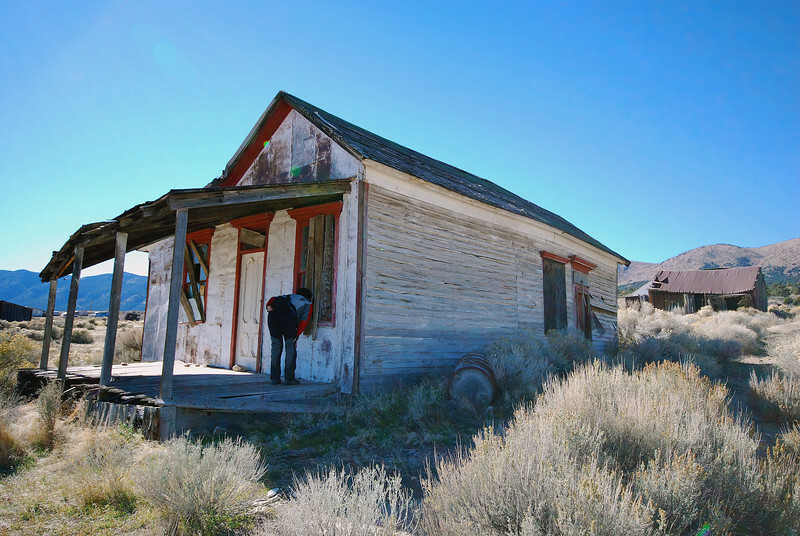 Ghost towns of Nevada - a photographer's feast! 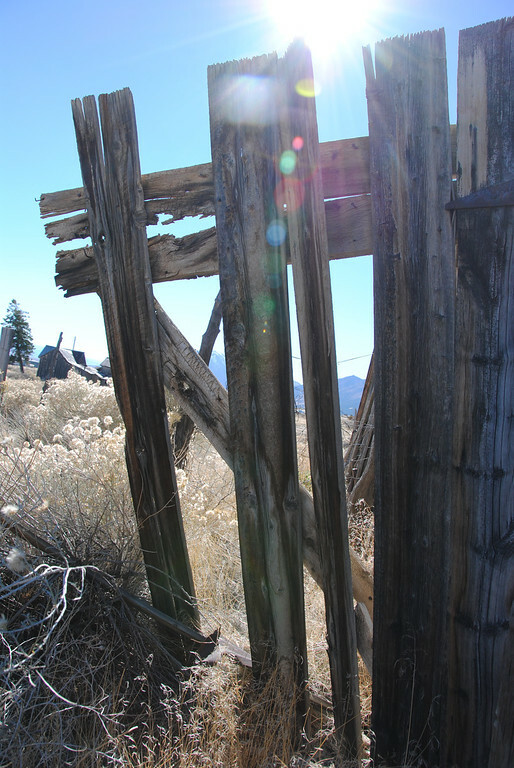 Peering through the boarded-up window of an abandoned house. There was a make-shift tent inside!